I’ve not been there long but the staff is super friendly and informative. The community seems to be nice and quiet. The town homes have plenty of space and amenities of the apartments. It’s nice that it’s a gated community, coming from out of state it makes you feel safer in a new place. Love it. Always clean, the pools are beautiful, decent gym, maintenance respond super quick when you need them. Staff is always making activities for the residents. It has been a good experience so far. Very clean surroundings, awesome atmosphere and great service. Would like more discounts on existing residents so we can stay longer. I have loved living here. Peaceful and no problem with neighbors. Everyone is willing to help, and the it’s so clean. It’s a little overpriced, but worth it. I love the walkways for my dog to walk. Lots of light at night. The gardens are kept up very nicely. The dog park is nice also. The grounds are kept up. Employees are very nice and always make sure their residences are happy. The area is always clean so as the pools and the gyms. Maintenance is very helpful and when you request for maintenance they reach you as soon as possible. Hi Kimberly J., we are very happy to have provided you with such a positive experience! We hope to see you soon! Great place to live with modern living spaces, friendly staff, excellent service, and great amenities like two pools! All at a great price point too. Hi Arthur S., thank you so much for your positive comments about La Contessa! We can't wait to see you again, have a great day. Diana R., we are so happy to read such a great review about La Contessa! We are always more than happy to assist you if anything else comes up. Take care! 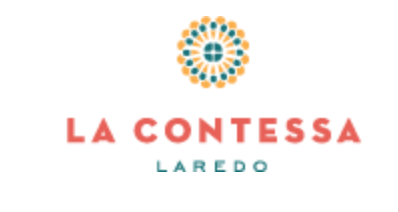 Hi Alexandra F., thank you so much for your positive comments about La Contessa! If you ever need anything else from us, please feel free to give us a call or stop by. Have an awesome day! They are very friendly, love their events, and they handle requests very quickly. I would highly recommend this apartment community to friends and family. Christian S., we're happy to hear you had such a positive experience with our team! Thank you, and have a fantastic day! Diana M., we strive for 100% satisfaction, and it is great to see you had such a positive experience at La Contessa. Thank you, and have a fantastic day! Calm neighbourhood with great installations. Would be nice to have a small soccer field for the people to play beside the basketball court that we have already. We appreciate your positive review about your recent experience with us! We think it's a great idea, we will pass along your comments and consider options!! Thank you, and have a fantastic day! great! can be a bit noisy at bad hours with dogs and chatter but this small complaint dwarfs the many positives. convenient location and beautiful, clean apartment! Nicholas M., thank you for your kind review; we are happy to pass along your comments to the team here at La Contessa! Thank you, and have a fantastic day! I’ve lived at La Contessa for a little over 2 years. My experience here has been a great one. These apartments feature a great staff, lots of amenities, and a great place to live! My wife, my daughter and I just moved in 2 weekends ago, so far we are loving the environment and the friendly neighborhood. I like how the pool is not far from our room and the barbecue pits are not far either. I am really happy and satisfied with the stay. Everyone in staff super friendly made everything so easy for us. Community has everything we’re looking for and everything we need. Great location! Yamile L., thank you for your kind words and this wonderful review! I love that you have had such a positive experience at your new home, If you need anything else do not hesitate to contact us. La Contessa Staff. Quiet, close to many stores and restaurants. Easy access to highway. Amenities included are excellent. Upkeep is superb and maintenance is always fast. Hi Raymundo C., thank you so much for your positive comments about La Contessa! We are always more than happy to assist you if anything else comes up. Take care! So far I am very please with living here at La Contessa. The ladies in the office are always pleasant and helpful. The amenities are exactly what I was looking for. Virginia M., thank you for your kind review; we are happy to pass along your comments to the team here at La Contessa! Thank you, and have a fantastic day! I love the location and the landscape, people here are friendly, (staff and community). Would be 5 stars if it had more parking spaces available. Moises L., your wonderful feedback and rating mean a lot to us. Your recommendation means so much to us and we're so happy to have earned it. Thank you again for taking the time to let the world know about your positive experience. Have a great day! awesome. The apartment complex is really close to where I work that I am able to use my bicycle instead of using my sport utility vehicle to commute to work. Rolan B., we are so happy to read such a great review about La Contessa! Thank you, and have a fantastic day!